The Bridal Gallery allows you to enter an enchanting world of bridal to create the wedding of your dreams. Furthermore we are Salem’s only full service wedding salon. Hence we have everything you could imagine to make your wedding the perfect celebration of your love. 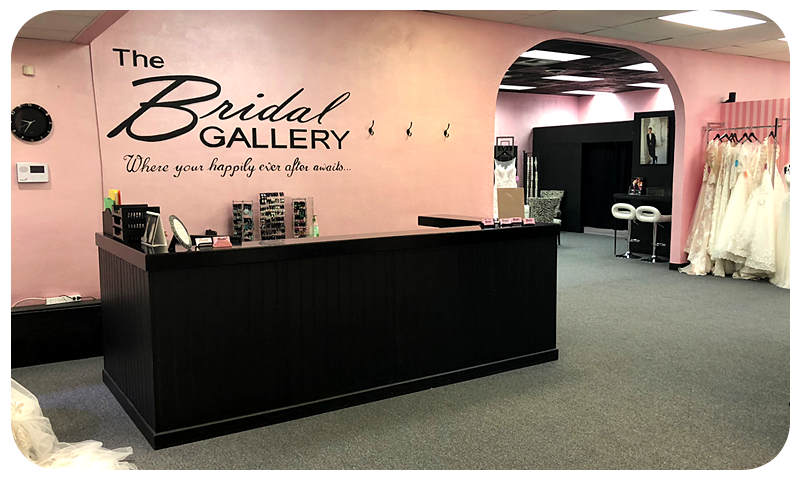 At The Bridal Gallery, we know how magical it feels to walk into a bridal salon. So imagine yourself being swept into a fairy tale with large pedestals, huge mirrors and spacious, private fitting areas. Furthermore, we have seating to accommodate your most treasured guests. So be our guest as you choose from over 275 beautiful wedding dresses ranging in sizes 2-40. Because brides comes in every shape and size you will love our selection of dresses for every bride, every size. Finally, we offer you the style you desire at a price that will delight you. Enter into our store and feel instantly welcomed by our warm and smiling staff. Our bridal consultants are not only friendly and professional, they are knowledgeable and genuinely excited to assist you in finding your perfect dress. We are open for appointments Monday through Saturday and we are happy to accommodate walk in brides when our schedule allows. We highly recommend setting an appointment ahead for your ultimate dress shopping experience. At The Bridal Gallery, we want you to embrace your curves! Our consultants are specially trained to meet the needs of our fuller figured brides. 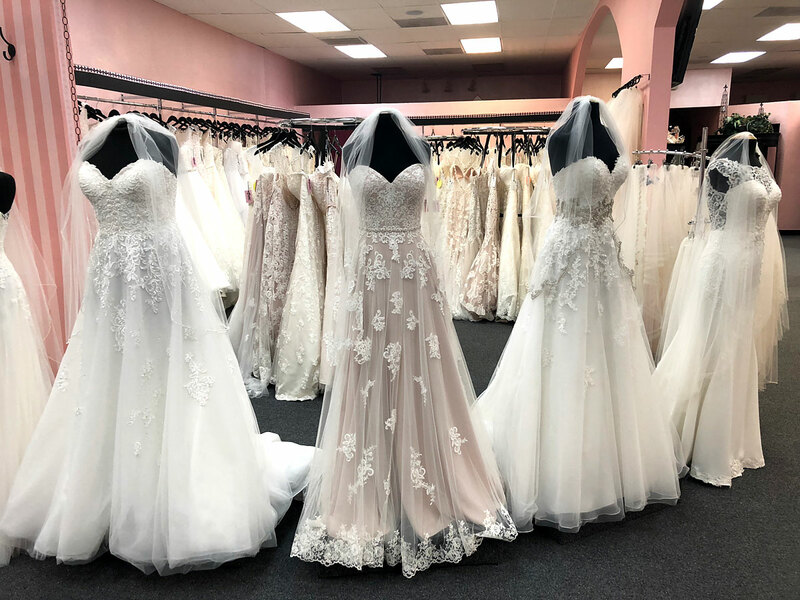 With our women’s sizes of 14w-40w bridal department, you will find all the latest styles as well as those classic silhouettes guaranteed to flatter any figure. 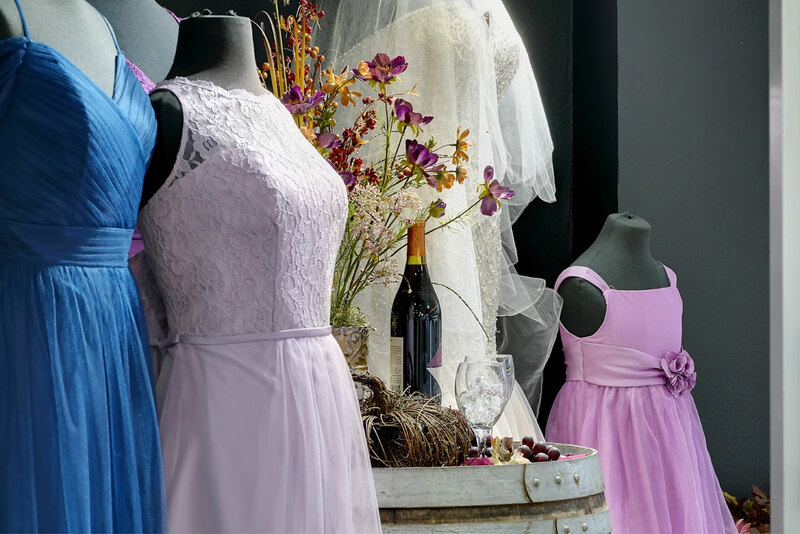 Whether you are looking for something modern and romantic in a fit and flare, or something less daring and more elegantly inspired such as a ball gown or a more classic aline silhouette, you are sure to find it at The Bridal Gallery. We strive to make your shopping experience memorable and fun by offering private fitting rooms to make you and your guests feel welcome and comfortable, a dedicated consultant that is knowledgeable and friendly, and free consultations by our staff tailor to ensure that perfect custom fit! 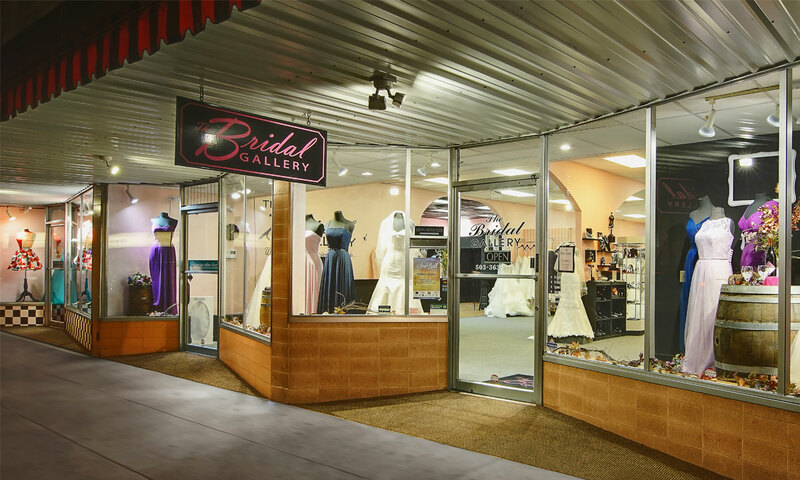 Read more about The Bridal Gallery and owner Angie in our blog post. 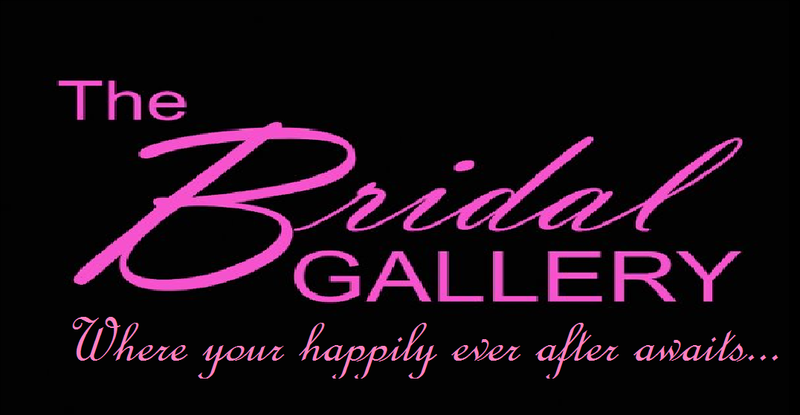 At The Bridal Gallery, you can relax and HAVE FUN…we laugh a lot…we are silly and we are REAL. There will be at least one time that you think to yourself “I can’t believe she said that” and you laugh out loud. You will experience honesty when we share our opinion! 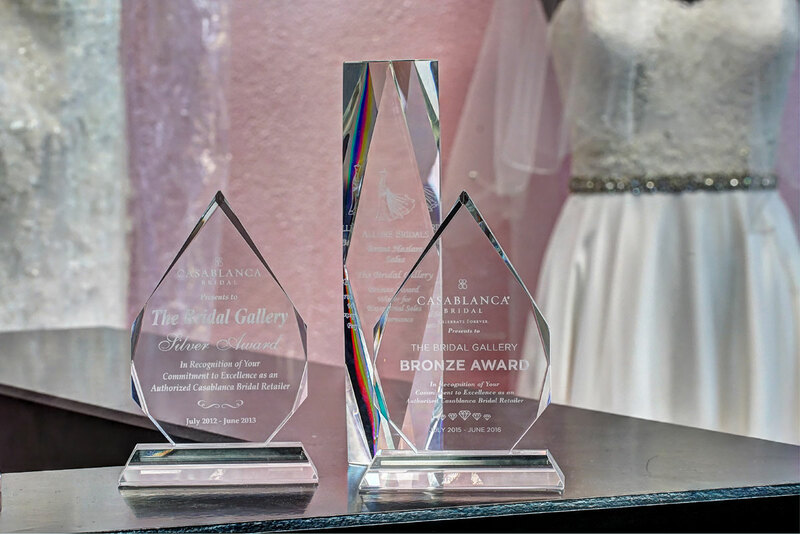 At the Bridal Gallery, we are family – when you visit, you are too…After all, this is the most important dress you will ever wear – don’t just leave it to chance, leave it to us. You won’t be disappointed. 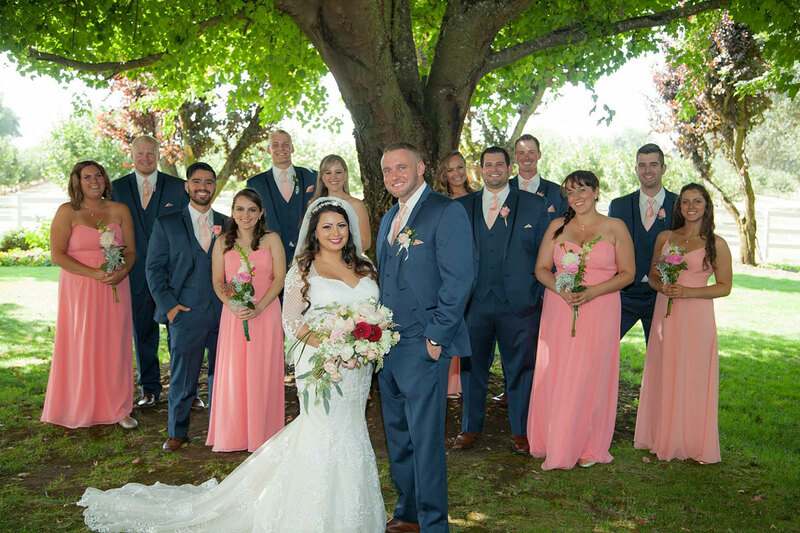 Salem's only full service bridal salon! Who else love coffee? We love this wedding favor idea... almost as much as we love coffee!